Professor Tseloni is Professor of Quantitative Criminology with expertise in victimisation theory, applied social statistics and econometrics. Her work revolves around five broad themes: criminal victimisation inequalities, the crime drop, crime perceptions' social capital and cross-national comparisons. Her current role involves leading the Quantitative and Spatial Criminology Research Group; supporting research – related activities in the Division and the School; and working on research projects informing crime prevention and community policing. Professor Tseloni joined the School of Social Sciences in September 2015, having previously taught at a number of institutions, including the University of Maryland, College Park, USA (1997-2001); the University of the Aegean, Lesvos (2001-2002), and the University of Macedonia, Thessaloniki (2002-2007), Greece; and in the UK the University of Manchester (1992-1995), University of Hull (1995-1997), Nottingham Trent University (2007-2013) and Loughborough University (2013-2015). She has taught a variety of applied social research quantitative methods modules, especially at postgraduate level, as well as criminological theory, crime prevention and victimisation modules at undergraduate level. 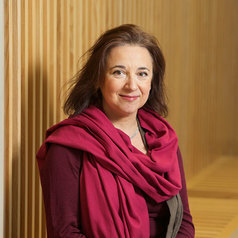 Prior to her Ph.D. on 'Modelling Threats in England and Wales' which she completed in 1994, at the Department of Econometrics and Social Statistics, University of Manchester, with full financial support from the State Scholarship Foundation of Greece, she worked at the National Accounts Directorate of the National Statistical Service of Greece (1987-1990). Andromachi's research - published in academic journals, edited books, chapters and reports - revolves around five broad themes: criminal victimisation inequalities, the crime drop, crime perceptions, social capital and cross-national comparisons. In particular, her research on criminal victimisation inequalities and falling crime rates has influenced the way victimisation is conceptualised, measured and analysed and it informs successful crime reduction / prevention policies. Her recent book, co-authored with Professor Ken Pease (UCL), deals with individual and contextual protective and risk factors of single and repeat criminal victimisation. Using modelling to predict and prevent victimisation (Springer, 2014) reflects the practical application of her work on individual and contextual factors influencing crime inequalities. Her collaborative research on the crime drop has offered fresh insights for crime prevention and methodology for evaluating the impact of security on crime. Her earlier book The International Crime Drop: New Directions in Research (Palgrave Macmillan, 2012) which she co-edited with Professor Jan van Dijk (Tilburg University) and Professor Graham Farrell (University of Leeds) outlines this perspective on the crime drop.